April Picks: Art in Martinez & San Jose, SF Cherry Blossom Festival & SF Beer Fest, Earth Day in Berkeley & Sacramento, and Oakland Dance Festival! - Get on Board! 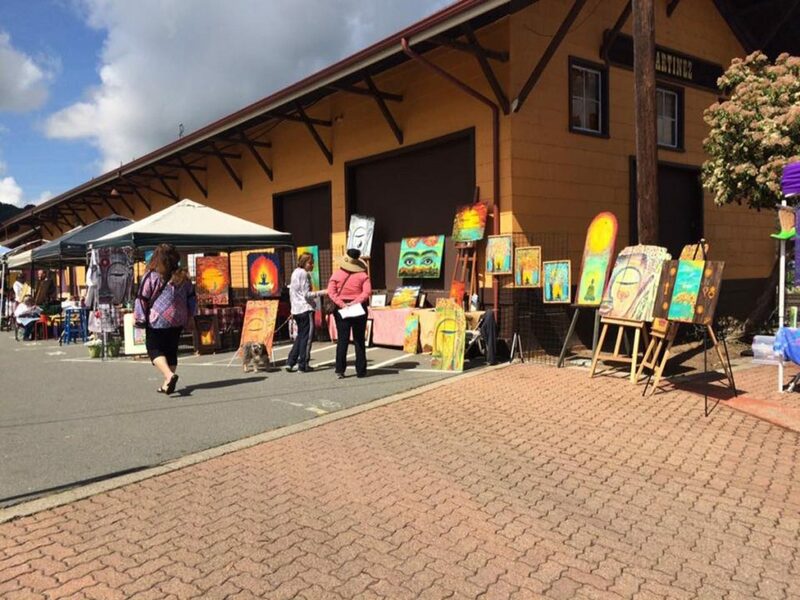 Come out to the Old Train Depot in downtown Martinez for the 12th Annual Support Women Artists Now Day (SWAN) Day. Sponsored by the Martinez Arts Association, the free event celebrates the international holiday that recognizes and uplifts female creative power. More than 50 artists from around the Bay Area will showcase their visual and performing arts. Enjoy live local music while perusing some of the best works from amazing local artists. Getting there: Ride the Capitol Corridor to the Martinez Station, which is about two blocks from the depot. 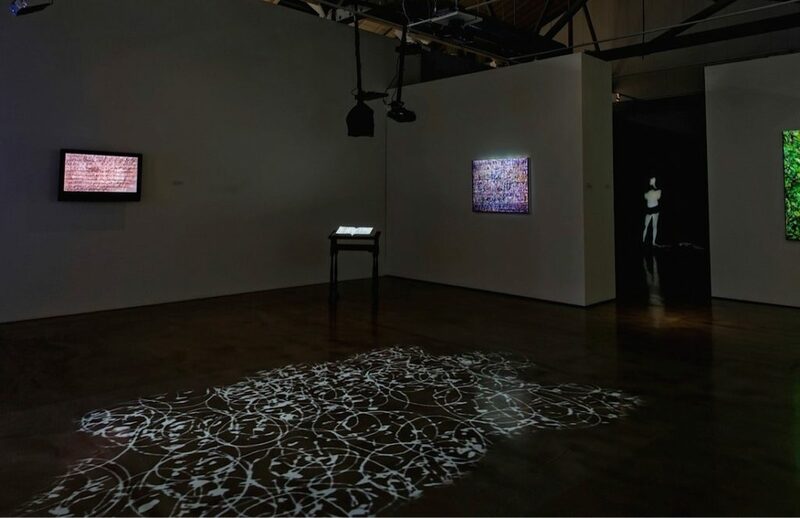 The San Jose Institute of Contemporary Art will be open late on April 11th for Art in the Dark, a visually-stimulating experience of bold color, materials such as fiber and felt, and sculptures with robotic and kinetic elements. After sundown, see the exhibitions like never before, as the artworks dynamically change and alter in color, light, and form in the dark galleries. Getting there: Ride the Capitol Corridor to San Jose- Diridon Station. The SJICA is about 1.4 miles from the station. You can take a nice long walk, hop on the VTA with a free Transit Transfer, or hail a rideshare. What better place to celebrate Spring in full bloom than the second-largest cherry blossom festival in the country? 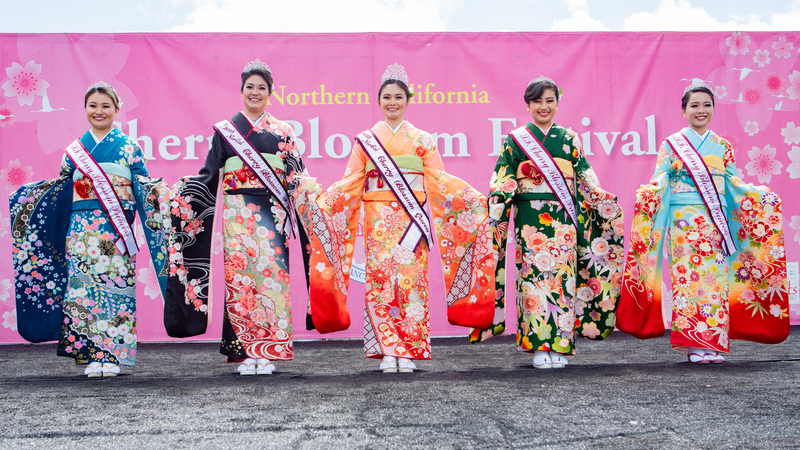 Since 1968, the Japantown neighborhood of San Francisco has been hosting the Northern California Cherry Blossom Festival, which attracts over 220,000 people each year. 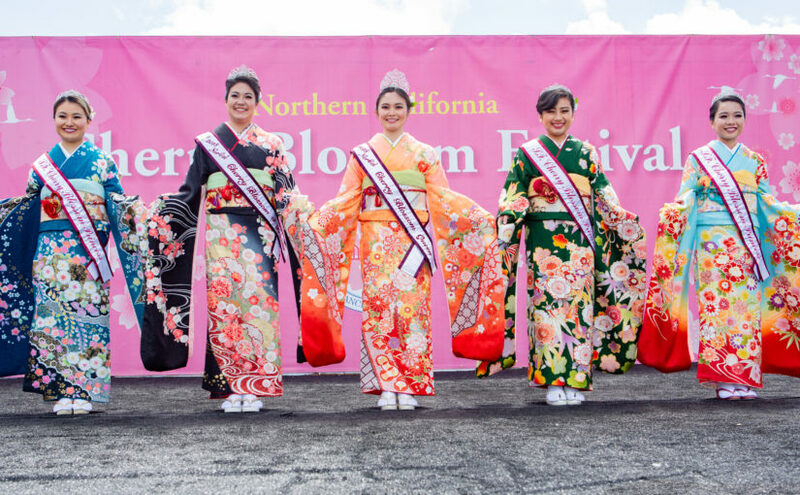 The week-long event features traditional Japanese music and classical and folk dance groups; Taiko drummers; a fashion show; a world-class origami exhibit; Ikebana flower exhibitions; a Japanese tea ceremony; and, for the little ones, a Sanrio Kids Corner. Come check out the dazzling display of vibrant colors, and take the opportunity to learn more about Japanese culture and celebrate with the community. Getting there: Take the Capitol Corridor’s dedicated connecting bus from the Emeryville Station to one of our San Francisco stops, or connect to BART at the Richmond Station or Oakland Coliseum Station. From any of these San Francisco bus or BART stops, you can hop on Muni or hail a rideshare. 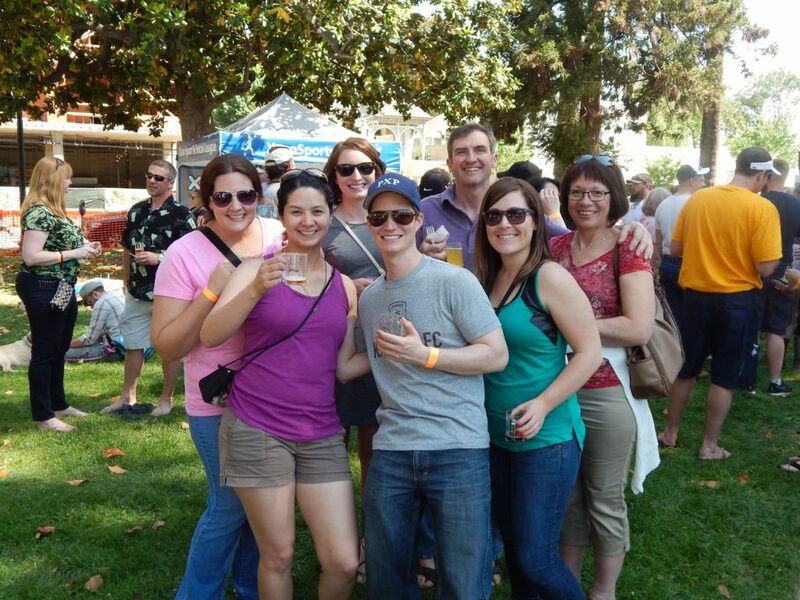 Get your taste buds ready to sample some of the best chili and beer around at the 8th Annual Beer & Chili Festival at Roosevelt Park in Sacramento. The festival will feature a chili cook-off with 20 contestants competing in a range of categories, including industry, individual, vegetarian, and People’s Choice. 30 breweries will be offering beer tastings, and live music will be provided by the Sacramento Prep Music Academy. A portion of the event proceeds will go to the academy to support their mission of advancing access to lifelong learning opportunities in the arts. Get your tickets online in advance; chili-only or beer-only is $25, and full access is $40. Getting there: Take the Capitol Corridor to the Sacramento Station, which is about a mile from the park. You can walk or hop on the SacRT Gold Line with a free Transit Transfer from your Capitol Corridor conductor. Brew enthusiasts, you won’t want to miss San Francisco’s oldest and most highly-acclaimed beer festival. 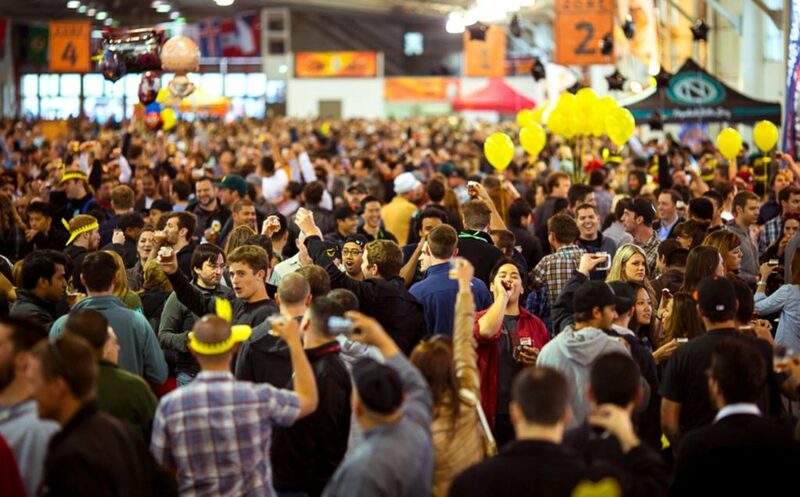 Held at Fort Mason Center, the 36th Annual San Francisco International Beer Festival will feature over 100 brewers offering unlimited beer samples (served in a 4-ounce souvenir mug), plus complimentary food bites from some of San Francisco’s top restaurants. Play a game of trivia, win Beer Fest swag, and jam out to live music from local bands while you enjoy tastings from brands like Tito’s Vodka, Fernet Branca, Hendrick’s Gin, Larceny Bourbon, Highland Park Scotch Whisky, and more. General Admission is $75, and special VIP Brewmaster tickets will include a 90-minute exclusive tasting prior to the event from 5:30pm to 7pm, plus all-night access to the Brewmaster Lounge. Since 1984, the San Francisco International Beer Festival has given back to the community by contributing proceeds to the Telegraph Hill Cooperative Nursery School. The parents of Tel-Hi’s pre-K students are the organizers, hosts, and staff of the entire event. Getting there: Depending on your station of origin, take the Capitol Corridor’s dedicated connecting bus from the Emeryville Station to one of our San Francisco stops. You can also connect to BART at the Richmond Station or Oakland Coliseum Station. From any of these San Francisco bus or BART stops, you can hop on MUNI or hail a rideshare. Connect with inspiring, green-minded people and learn how we can take better care of our planet at Berkeley Earth Day. 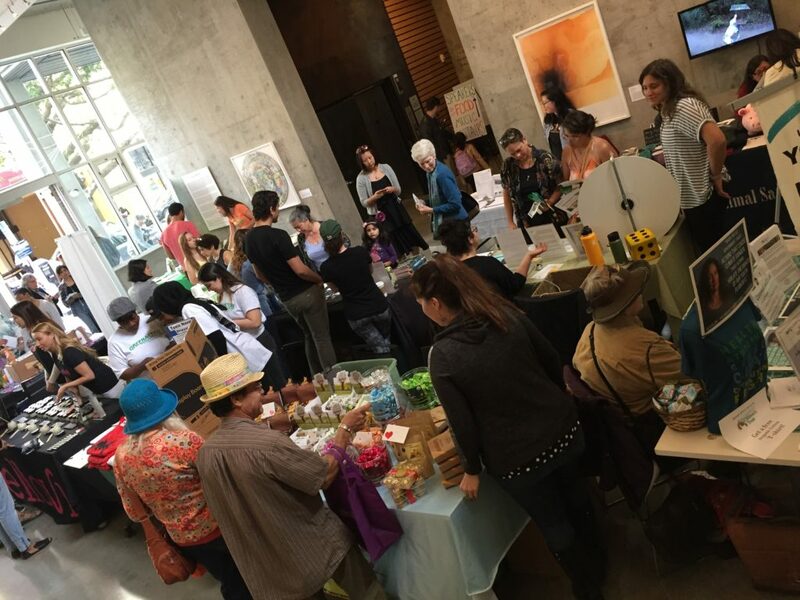 Held at the David Brower Center (Berkeley’s first LEED-Platinum certified building), this free event is your chance to get motivated by educational talks from experts and activists, while enjoying delicious sustainable foods and perusing eco-friendly products. This year, the event will host the Wild & Scenic Film Fest, one of the nation’s premier environmental film festivals. Get inspired by films that showcase front-line activism, stunning cinematography, and first-rate storytelling. While the Earth Day celebration is open to the public, Film Fest tickets are available online (students $10, general admission $15). Getting there: Ride the Capitol Corridor to the Berkeley Station and get to downtown Berkeley on AC Transit with a free Transit Transfer. Or, ride the train to the Richmond Station or Oakland Coliseum Station, connect to BART, and get off at the Downtown Berkeley stop, which is two blocks from the venue. Find everything you need to know about reducing your ecological footprint at Sacramento Earth Day— the largest Earth Day celebration in the Sacramento region. Sponsored by local nonprofit organization Environmental Council of Sacramento (ECOS), the purpose of the free event is the same as their mission: to achieve regional and community sustainability and a healthy environment for both existing and future residents. 150 organizations and businesses will be providing practical information, goods, and services to help us cultivate a way of living that is more in touch with our environment. For those using pedal power to get to the event, there will be a bike valet. 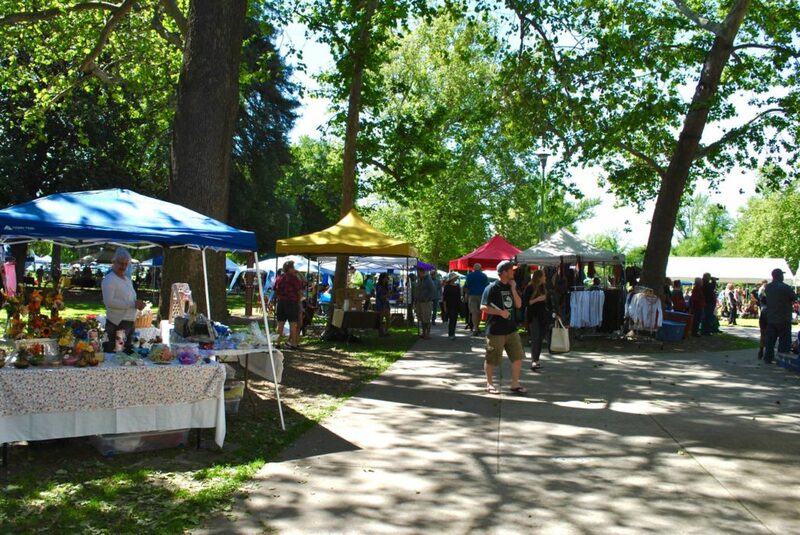 Held at Southside Park, Sacramento’s Earth Day features all-day live music, interactive games, local art for sale, eco-friendly products, yummy plant-based food, and a kids’ area, making this event a fun outing for the whole family. Getting there: Ride the Capitol Corridor to the Sacramento Station, which is about one mile from the event. You can walk, or hop on the SacRT Gold Line with a free Transit Transfer. Photo courtesy of Oakland Dance Festival. 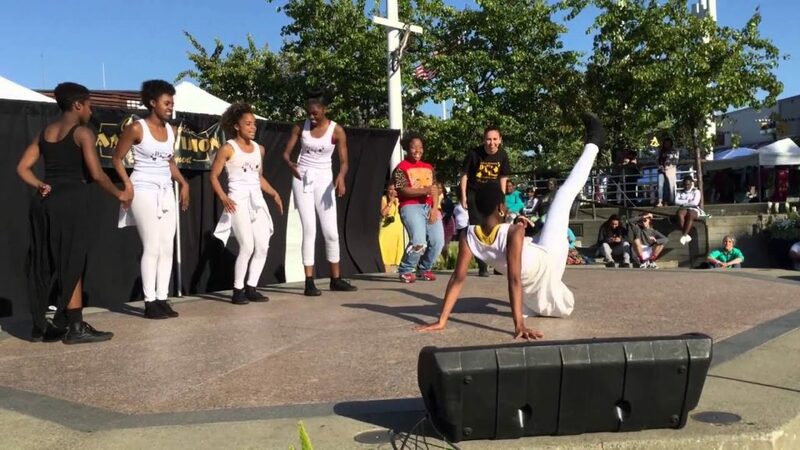 Dance-A-Vision presents the Oakland Dance Festival, bringing the best local dancers, choreographers, studios, and teachers to Jack London Square for two days of fabulous rhythm and fun. This festival will showcase a dazzling array of dance genres including jazz, ballet, modern, hip-hop, folkloric dance, and more. From little ones to professional adults, dancers of all ages perform and celebrate the power of dance and culture. The free event ends with a large outdoor public DANCE PARTY! Getting there: Ride the Capitol Corridor to the Oakland Jack London Square Station, just a one-step and a two-step from all the dancing. Previous Previous post: Enter to Win 4 Tickets to Charlie & the Chocolate Factory at the Golden Gate Theatre!